Another page for the Family history file. My great grandpa at a family wedding. Made with some bits I am putting together for a new kit ( not sure what it will be called yet) in the heritage series . Thought something to display those old wedding pictures would be useful . Since getting PSE I have been playing with layers and effects. 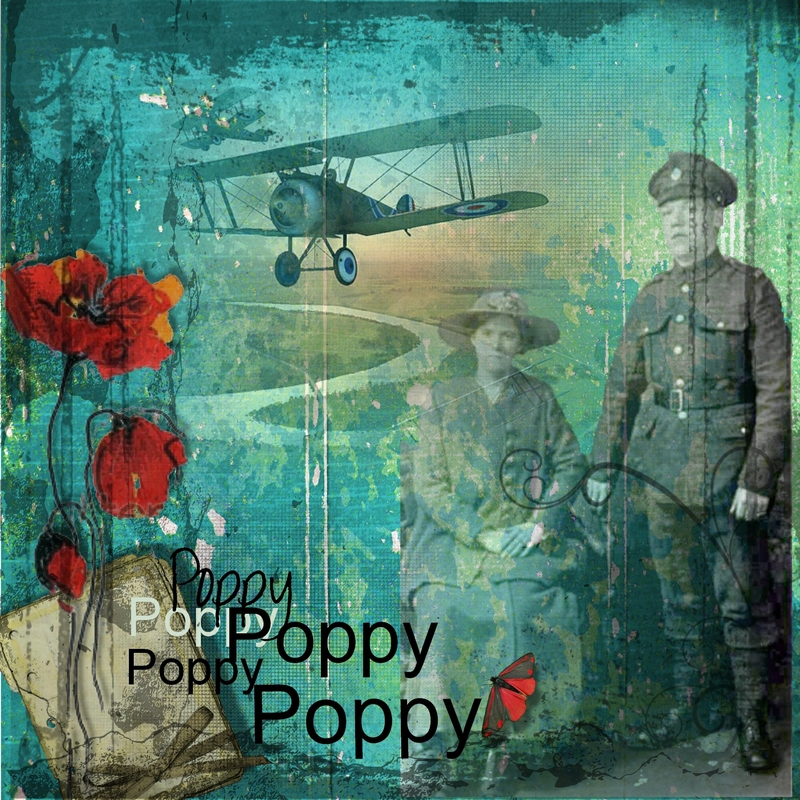 For this picture I used a background texture from PSE, Anita’s lovely poppies kit , an image from the net and a photo of my Grandparents, Robert Leighton and Ellen Tanner’s wedding. 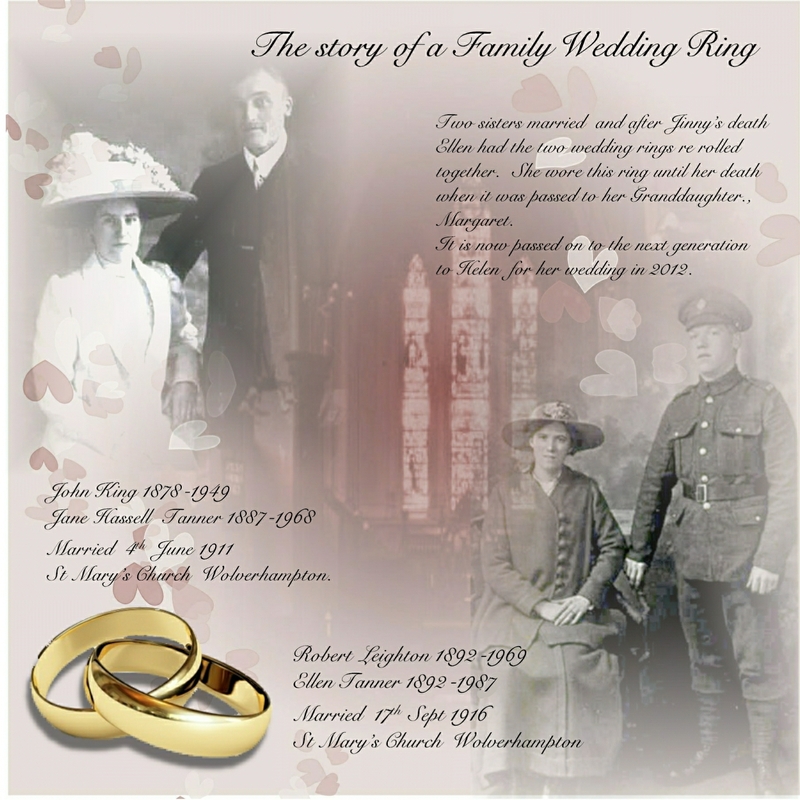 They were married in ST Mary’s Church Wolverhampton in 1918 during WW1 and he wore his uniform so I thought the images and the grunged effects would go well together. My grand parents with my Aunt and Uncle in the 30’s and then later me and my sister – guess we all like the sea. Used my new kit – generations. The latest in the heritage series. 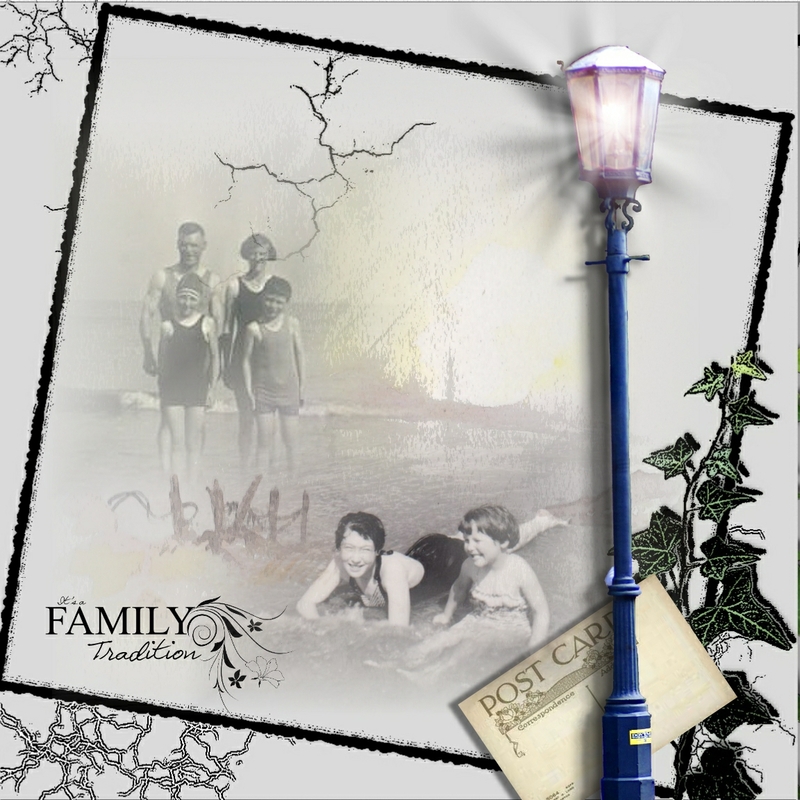 Made to display those old photos this kit works well with ‘Family tree’ and ‘ Memories’. It has 24 elements (including wordart), 9 background pages, 3 frames and an overlay made from an original watercolour. Would love to hear your comments and see your pages. 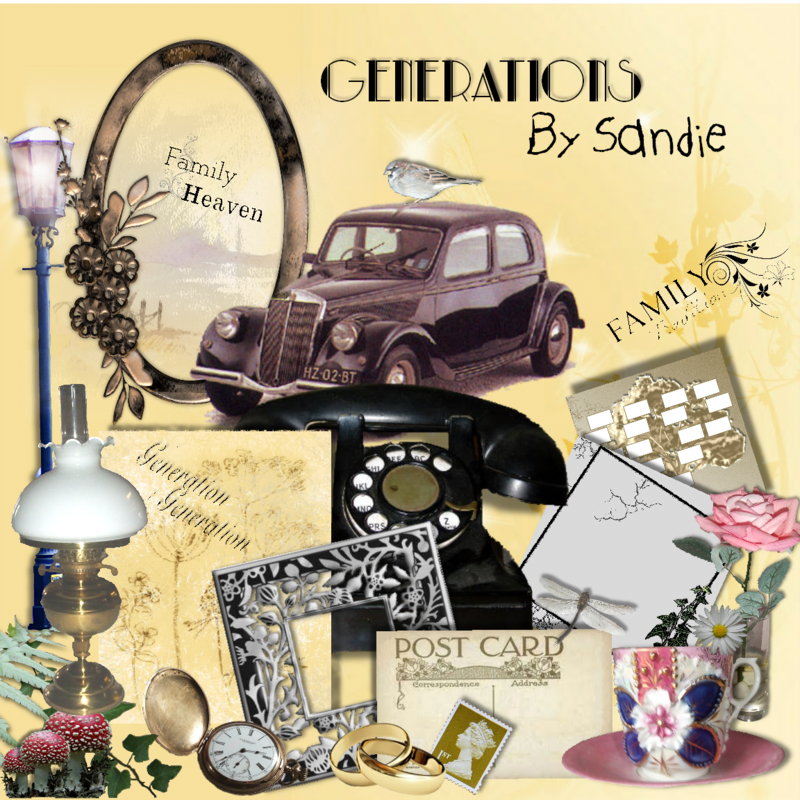 Generations – a new freebie out soon ! Grandma and Grandpa Cutts – a very old picture probably around the early thirties. 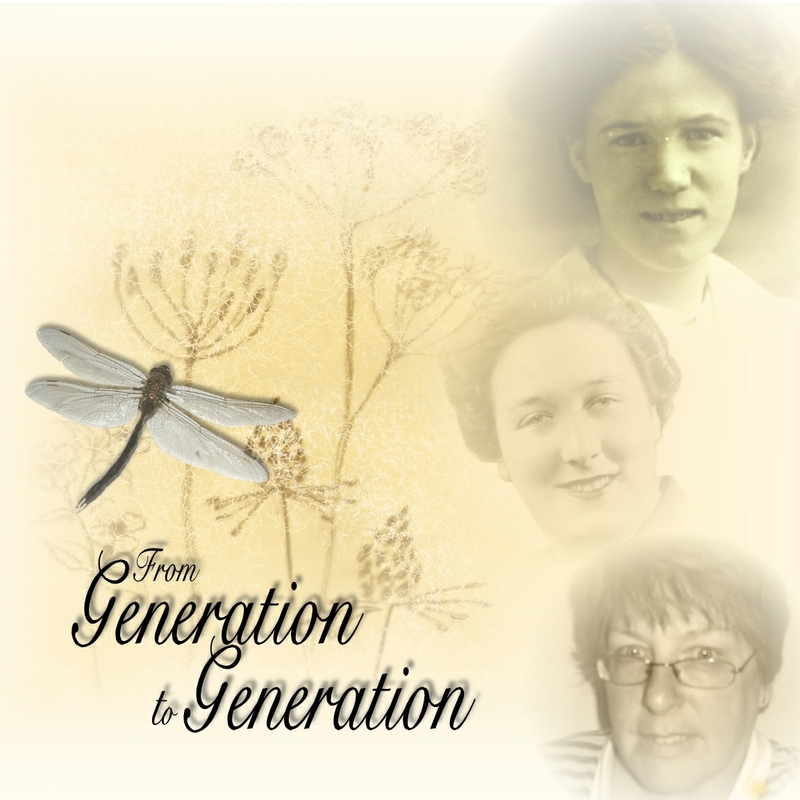 I have been playing with my new kit ‘Generations’ which will be out soon. 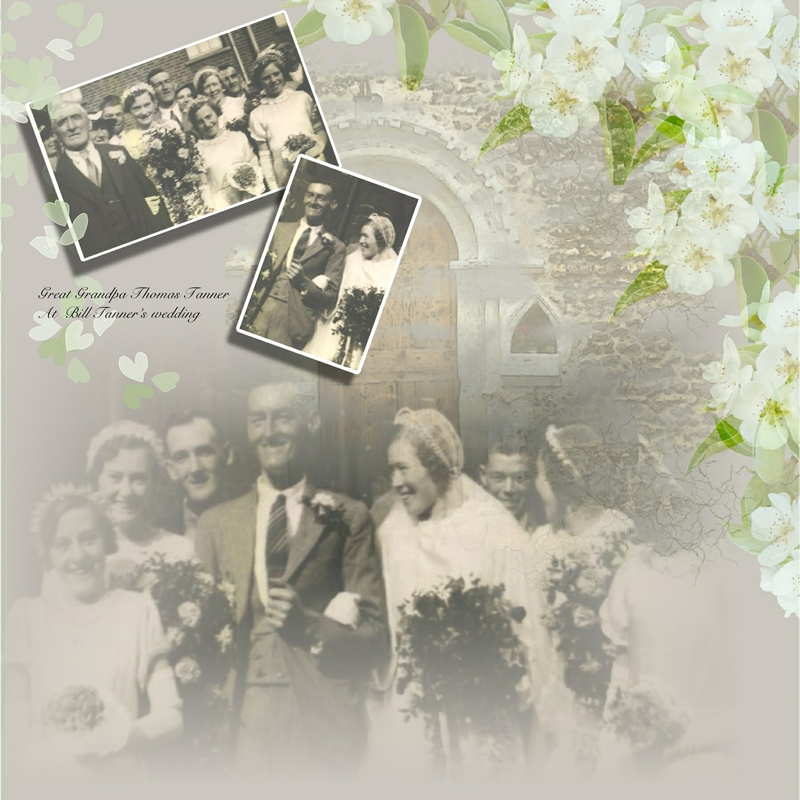 Good for displaying those old photos, it is the latest kit in my Heritage series and works well with Family tree and Memories. Just playing with some ideas for another Heritage kit .